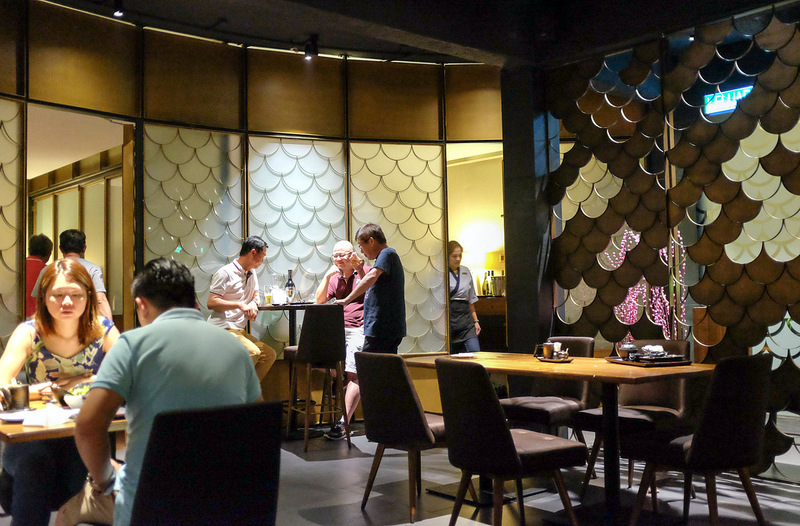 Uroko is becoming a go-to spot for contemporary Japanese fare in PJ's Section 17 residential neighbourhood - the setting is sleek but not intimidating (feel free to visit in T-shirts, shorts & slippers), the menu is extensive & enticing, service is faultlessly efficient & prices feel fitting. 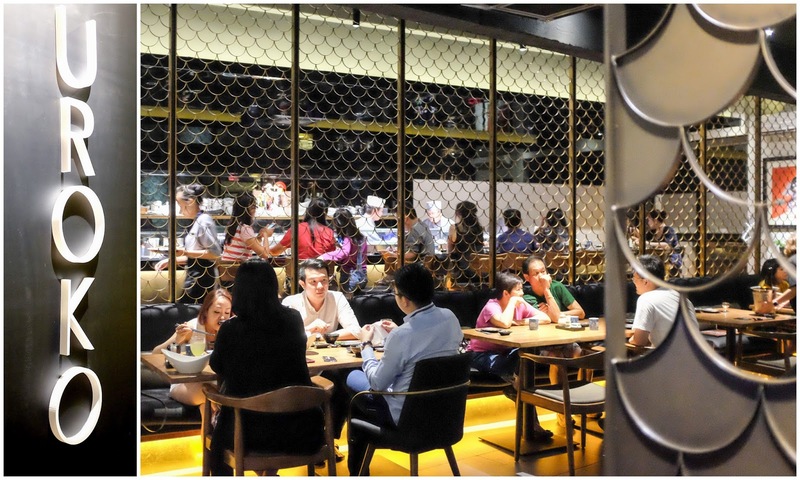 Trivia: The eatery's name is Japanese for 'scales,' explaining the patterns that dominate its decor. 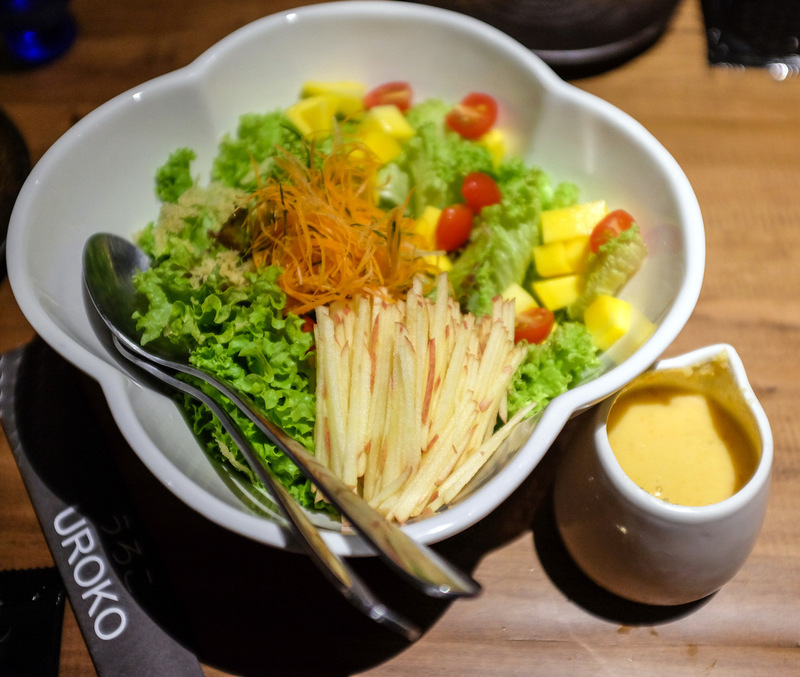 If you like the sweet flavour of apples, start with Uroko's fruit salad (RM23++), featuring a double dose of Fuji apples, as a julienne in the bowl & in a textured, pulpy dressing on the side, meant to be mixed with mango cubes, cherry tomato slices & leaves in a portion that three to four patrons can share as an appetiser. Perky & refreshing, albeit certainly on the sugary side. 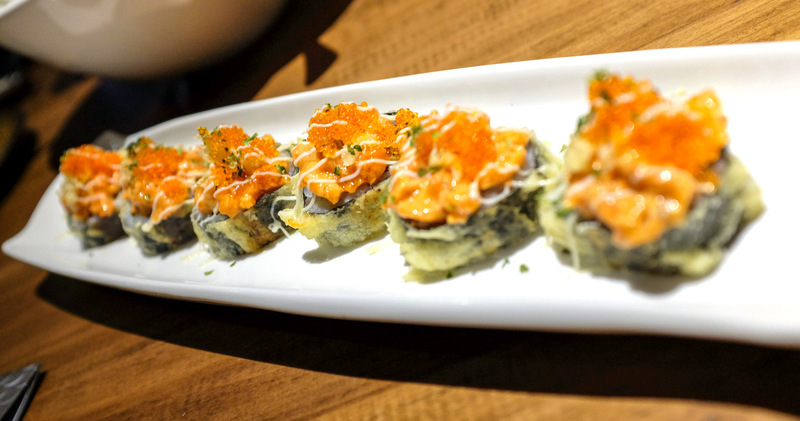 Sushi & yakitori are among the main attractions - one of the restaurant's recommendations is a spicy maki that's deep-fried for a lightly battered crunch, topped with salmon, flying fish roe & bird's eye chilli (RM28++); no surprises, since this sort of fusion roll has long been a crowd-pleaser in numerous venues. 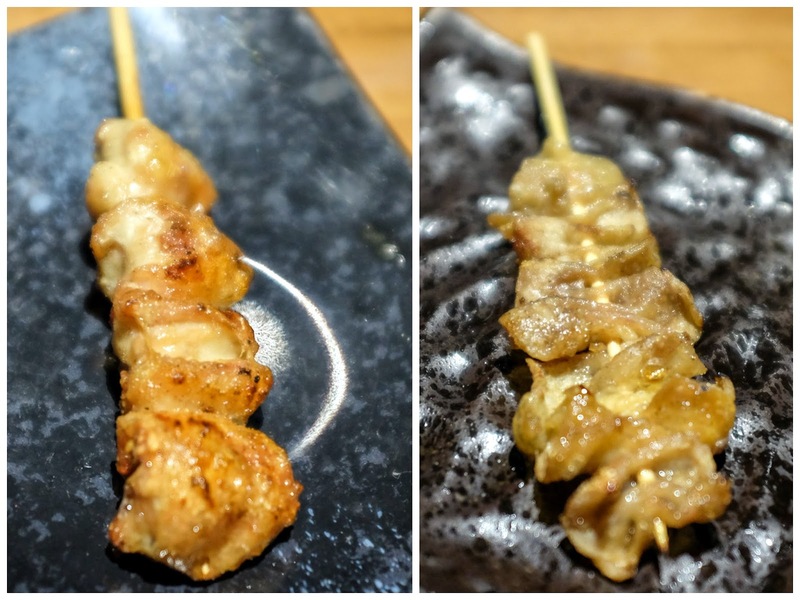 We tried two skewers - the chicken tail & skin (RM4++ each) - both of which proved capably & satisfyingly prepared, bearing the kind of smoky succulence that's pivotal especially for the bonjiri cut. 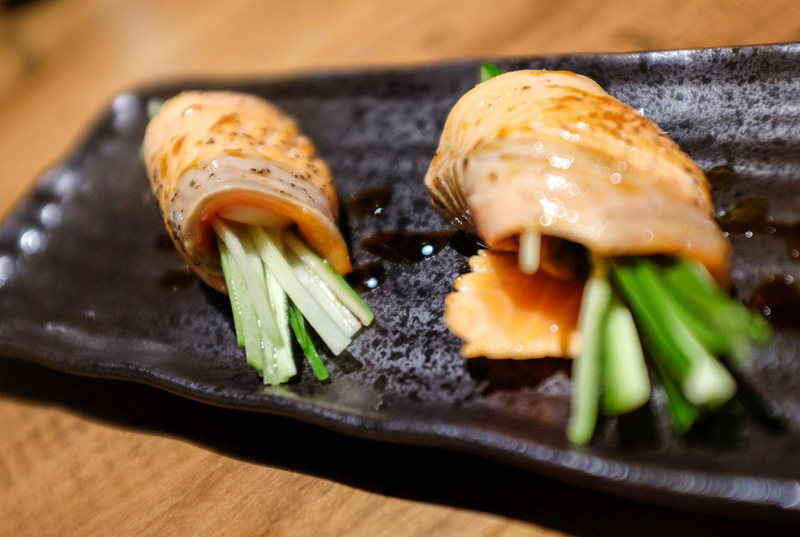 There's a touch of luxe in the menu, with foie gras spotlighted in offerings like the Shake Bomb (RM10++ per piece; salmon wrapped around morsels of liver - the fish is pleasurably juicy, with the foie delivering a distinctive after-taste) & the Hanabi Sushi (RM28++ for six pieces; pan-fried tuna crowned with foie - competent, though the two main components fell short of being completely complementary). Our costliest order was the scallops with sea urchin in steaming-hot egg omelette broth (RM48++) - an example of Uroko's strengths & limitations; the cooking here is irreproachable, but while the ingredients are justifiably good enough, they hover closer to above-average than outstanding, illustrated by both the scallops & sea urchin. 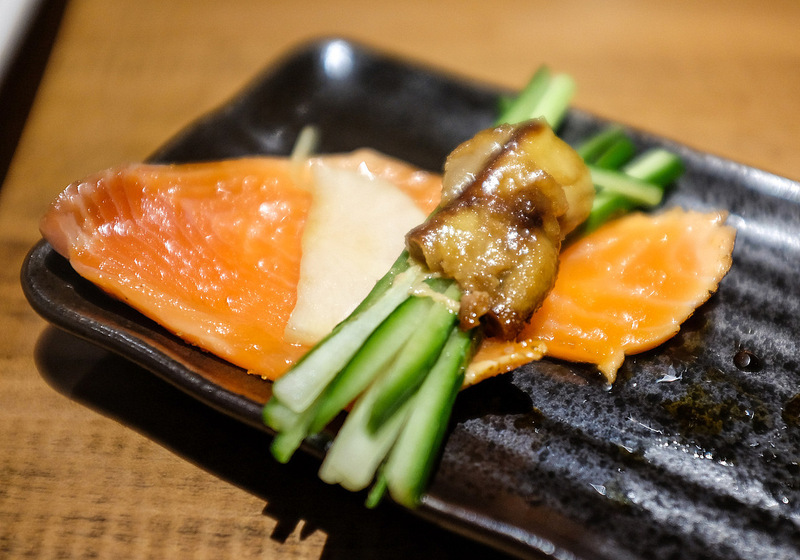 You'll also find omakase sets from RM150++ onwards. 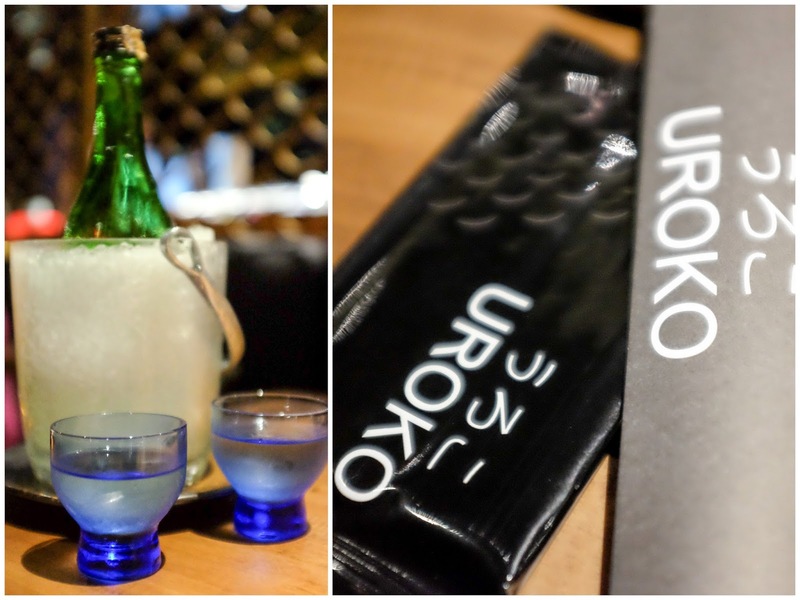 Sake is available, starting at RM60++ for a 300-ml bottle. 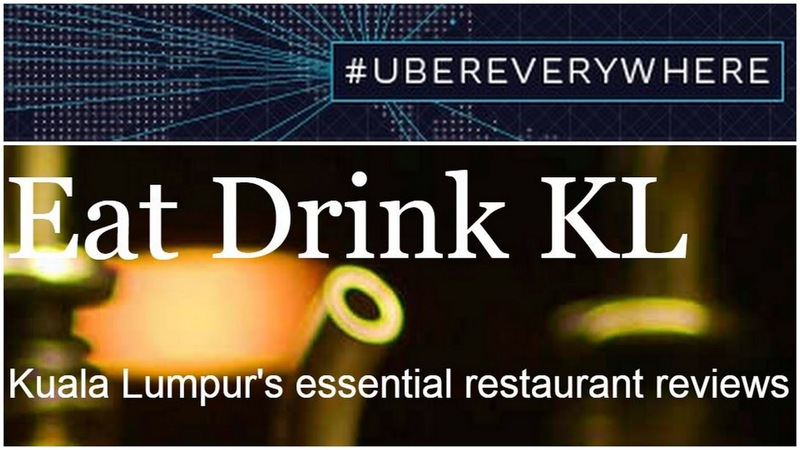 2nd Floor, 22A-1, Jalan 17/54, Section 17, Petaling Jaya, Selangor. So many Japanese places there! If I were able to go to just one, which you suggest? I guess as much. Ya, sometimes you pay for the name - may be able to get some pretty nice stuff at some cheaper places. Convenience in their respective locations may also influence one's choice, I guess. 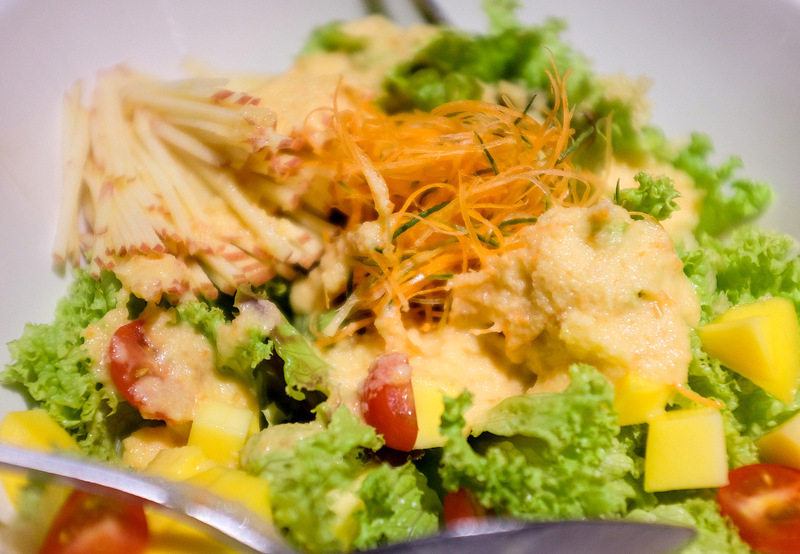 I like Fuji apples and mango in my fruit salad but not when the dressing is on the sweet side. 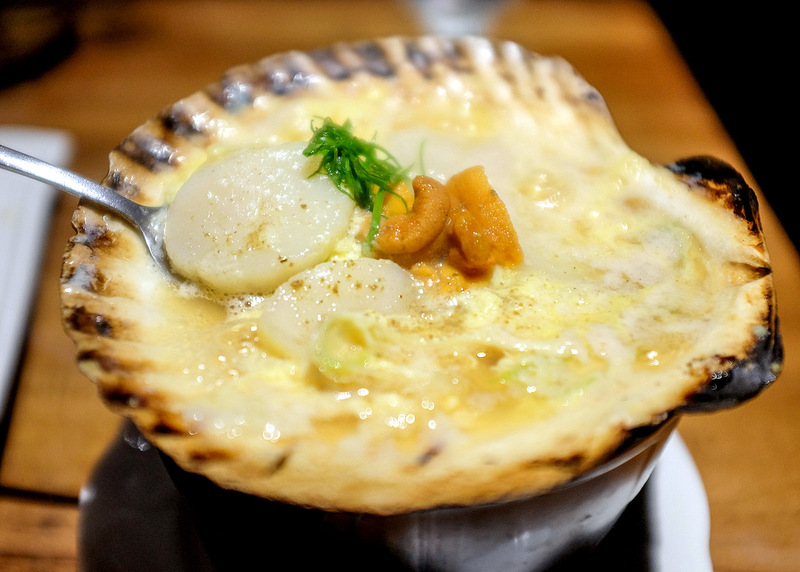 Hmmm, I've yet to taste sea urchin, so the scallops and sea urchin in egg broth certainly entices me. 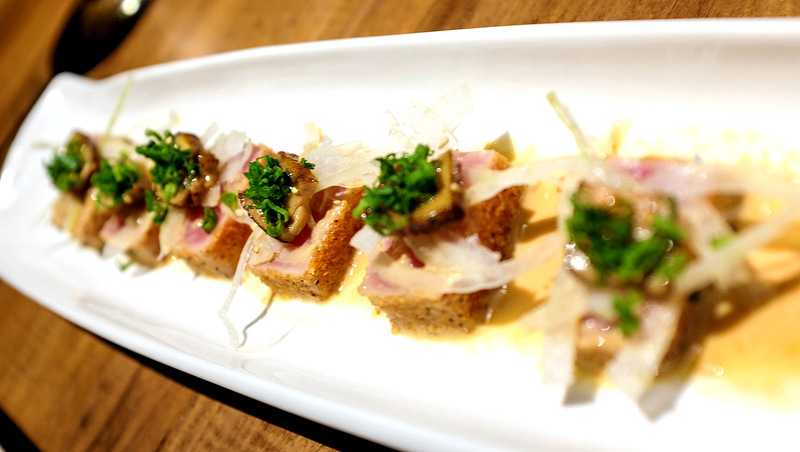 The last few dishes with foie gras and sea urchin sound yummy! I want to try those, hehe. Totally overrated! The food nothing special not delicious and portion extremely small. Only 4 pathetic slices meat for a beef rice. The worst part was my set meal came longgg after my friends finish their food which is unacceptable. We were quite hungry and looking forward to a good meal and experience. Our first disappointment was that a number of items on the menu were not available which my mum and wife wanted to order. Yakitori was totally unavailable. So we asked for grilled Salmon fish head. Not available also - as we were told. We were told another fish head was available so my mum ordered that. She also ordered the tuna belly chawan mushi. So we sat and waited. The waitress came back 5 minutes later and said the tuna belly chawan mushi will take 45 minutes. My mum felt disappointed as she was looking forward to that. We didnt understand why that can take so long. My experience is if they tell you 45 minutes, it will probably take more than an hour to arrive. So we cancelled it and the waitress seemed happy that we did! It felt strange. Maybe they did not have it even though it was on the menu! 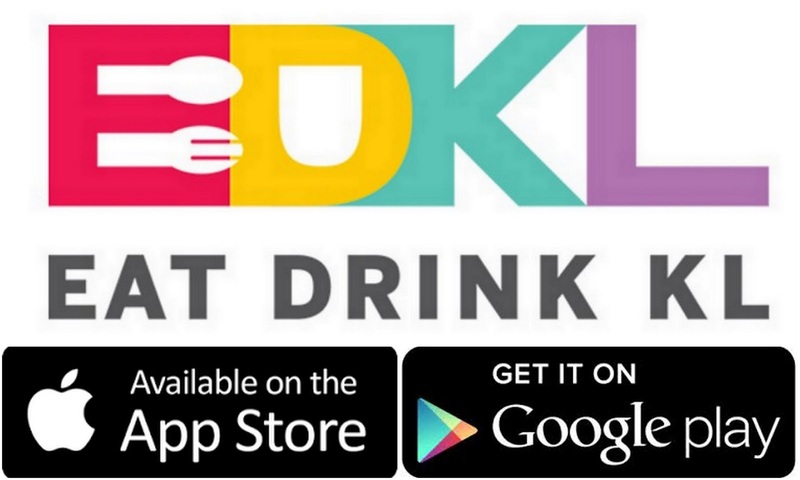 when it comes to which restaurants to go to. keep up the awewsonme work! !